From 2011 until its ending in 2014, he starred as George Altman in the ABC sitcom Suburgatory, for which he was nominated for a Critics' Choice Television Award for Best Actor in a Comedy Series. Sisto co-wrote the screenplay for the comedy film Break Point (2014), in which he also starred. In 2015, he starred in A&E's The Returned. From 2016 to 2018, Sisto portrayed Freddy Green in the Audience Network drama series Ice. In 2018, Sisto also portrayed Jubal Valentine in the CBS drama series FBI. 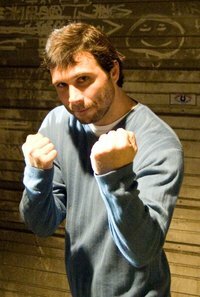 This webpage uses material from the Wikipedia article "Jeremy_Sisto" and is licensed under the GNU Free Documentation License. Reality TV World is not responsible for any errors or omissions the Wikipedia article may contain.